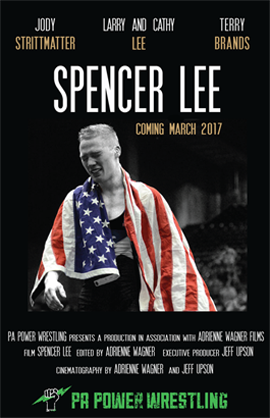 Synopsis: Pennsylvania High School wrestler Spencer Lee has been successful on all levels but can the 17 year old capture his third straight World Championship in his mother’s home Nation of France? This is a story of an incredible wrestler but an even better person. Find out what drives Spencer Lee to unthinkable limits. Starring: Spencer Lee, Jody Strittmatter, Larry & Cathy Lee, and Terry Brands.